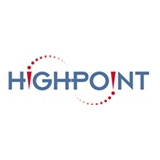 Highpoint Engineering, Inc. is a full service civil engineering and consulting firm founded by by Managing Principals Douglas J. Hartnett, PE and Michael J. Fabbiano, PMP. Highpoint has a history of working on complex, multi-disciplined projects from initial concept through completion in a collaborative A/E environment. Team is the key to Highpoint’s success; either assembling and leading a team of professionals or providing project support. Highpoint provides quality services with an emphasis on the entire project schedule with a goal of providing a value-add to their clients. The Highpoint – BGI Ghana team is managed by H. Thomas French,Jr, Senior Associate. Tom has over thirty five years of site planning and design experience specializing in planning, design, permitting and construction phase services for regional retail shopping centers and big box retail developments.